First of all, as it’s going to be my inaugural review for Metal-Maniac.com, I should establish a few things. My critics aren’t going to be utterly technical neither long. I want you to know, in a few words, if the album is amazing or not. That being said, my reviews will describe the album, but are also going to contain my personal feelings towards it. And now I believe I should start talking about “The Sufferwell”. Dark, ethereal, powerful, beautiful and a truly, truly masterpiece in this humble man’s view can be applied to this album. 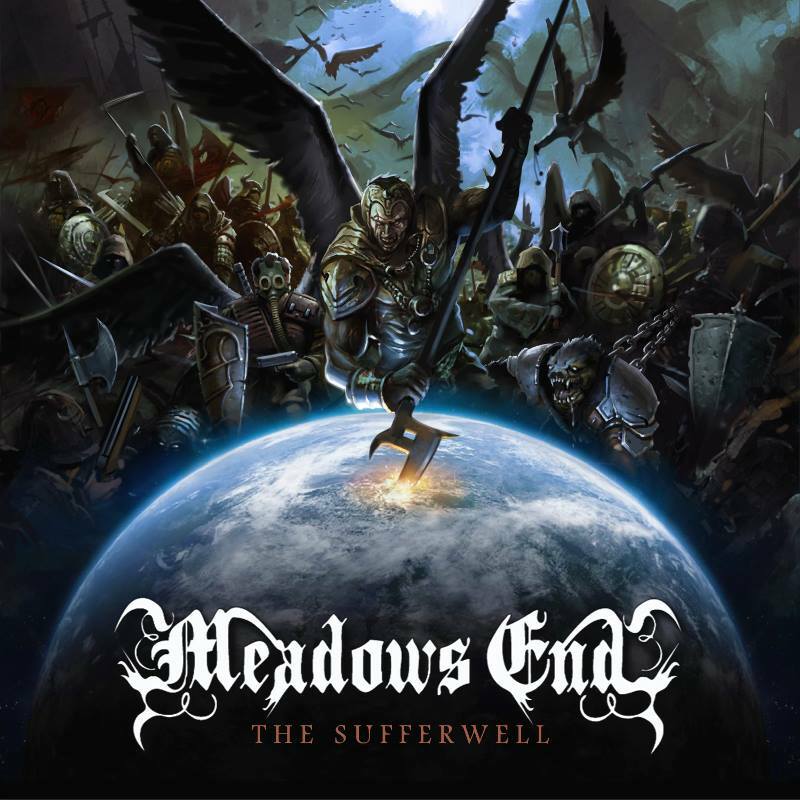 I greatly enjoyed Meadows End’s music when the band released “Ode to Quietus” in 2010, but I didn’t expect that they’d surpass themselves so much in “The Sufferwell”. “The Sufferwell” is not the Symphonic/ Melodic Death Metal release that you hear all the time and many are already apathetic over the style. No, this album is innovative, fresh, original, I might even say that this is a furious, violent and yet an elegant, alluring release. The production is crystal clear, everything works perfectly fine on “The Sufferwell”, believe me, over the last few days, I looked for flaws not to give this album a solid ten, but I couldn’t find any! You can expect everything on this album, fast songs, atmospheric moods, a ballad, impressive growls, an outstanding work from ALL the musicians as well as interesting lyrics, one of them being in Swedish! Also, the album clocks at fifty five minutes and thirty seven seconds. Don’t you just hate when you pay for a full-length album and it clocks less than thirty minutes? Of course there are some exceptions, but hey, we’re talking about full-length releases. And to give due credit, I should add something that the band stated: “The Sufferwell was mixed and mastered by Oscar Nilsson at Crehate Studios, Gothenburg. Cover artwork was made by Fredrik Burholm.” Both deserve to be highly praised as well. To conclude, give “The Sufferwell” a chance. It’s indeed a superior work of Metal art and for those that enjoy Extreme Metal, you won’t regret at all. This is a superb self release from an honest band that deserves more and more recognition. Expect an interview with Meadows End the in a near future!